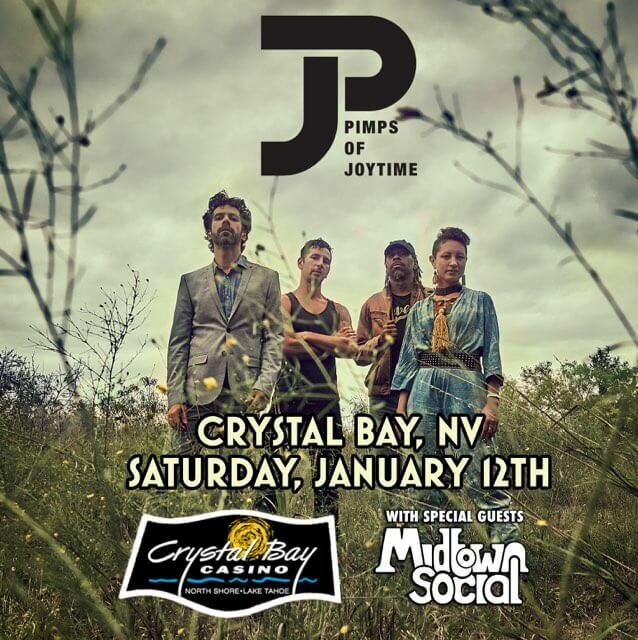 Midtown Social is stoked to be joining Pimps of Joytime again this year at Crystal Bay’s on Saturday Nov 12th. Pimps of Joytime puts the needle in the groove with its fresh collection of 10 funk anthems ready to put a smile on faces across the globe. An intersection of Brooklyn’s indie music scene, New Orleans funk and San Francisco soul, the Pimps’ new studio release Third Wall Chronicles (Sugar Road Records: March 24, 2017) unites us around a common bond of Peace, Love and Music. The apex of positivity and a solace from the daily grind shines bright as the Pimps of Joytime throw the dance party of the year on Third Wall Chronicles and everyone is invited!